Speedrunners continue to tear their way through Resident Evil 7, facing down its horrors with no hesitation. The fastest runs are on easy mode and use special weapons. One runner cranked the difficulty all the way up and hacked their way through with a pocket knife. YouTuber and speedrunner Quizzle first caught the attention of our peers at Kotaku UK over the weekend with his initial Madhouse run. 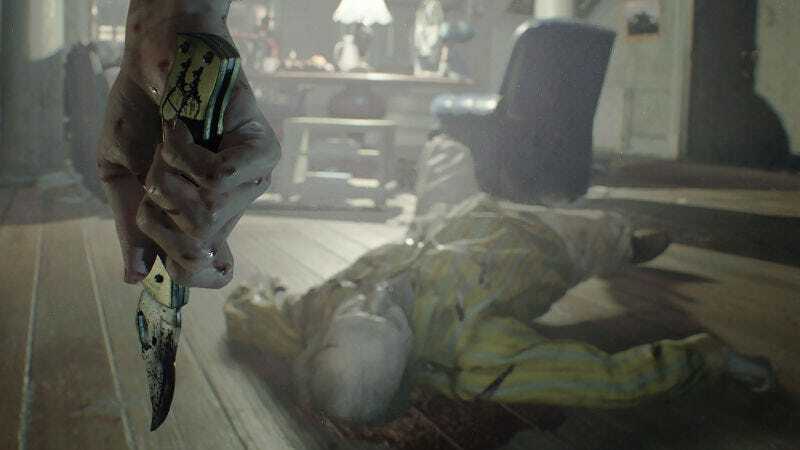 Madhouse is Resident Evil 7's highest difficulty, unlocked after clearing the game once. It rearranges the location of key items, increases enemy toughness, and even makes the implacable Jack Baker run faster than your character. It’s a nightmare by itself. Quizzle not only best the game at a breakneck speed with a pitiful weapon, he never dies. The run clock in with an in game time of 2:49:13. It’s thirty seven minutes faster than his initial attempt. To put it in further perspective: my own new game plus, easy mode run took 2:34:07 and easy mode knife runs still take around two hours. It’s an absolutely astounding achievement and Quizzle seems primed to keep improving his time. Meanwhile, my own Madhouse runs have mostly consisted of me hiding behind a box while Jack Baker keeps calling me “piggy” and “boy.” Maybe one day, I’ll escape. For now, I can look to Quizzle for inspiration.